The Rugged Ozone Sterilization System M1 increases the availability of sterile surgical instruments due to its highly portable, rugged design, and quick process times. The ROSS M1 utilizes a sterilant that is catalytically decomposed into to oxygen and water vapor at the end of the process. There are many advantages associated with the ROSS M1 sterilization cycle as it does not require high temperatures to inactivate contaminant microorganisms or produce toxic by-products. ROSS M1 prototypes have demonstrated the ability to inactivate the organism identified as most resistant to the process and materials processed by the device do not illicit a toxic reaction. These indications of safety and efficacy are examples of the advantages associated with a device that is subject to FDA approval. Contaminated surgical instruments may result in secondary complications ranging from surgical site infections to life-threatening infections and death. As a consequence, military surgeons need dependable, modern sterilization equipment to ensure the availability of sterile surgical instruments to perform necessary surgery in a timely manner. 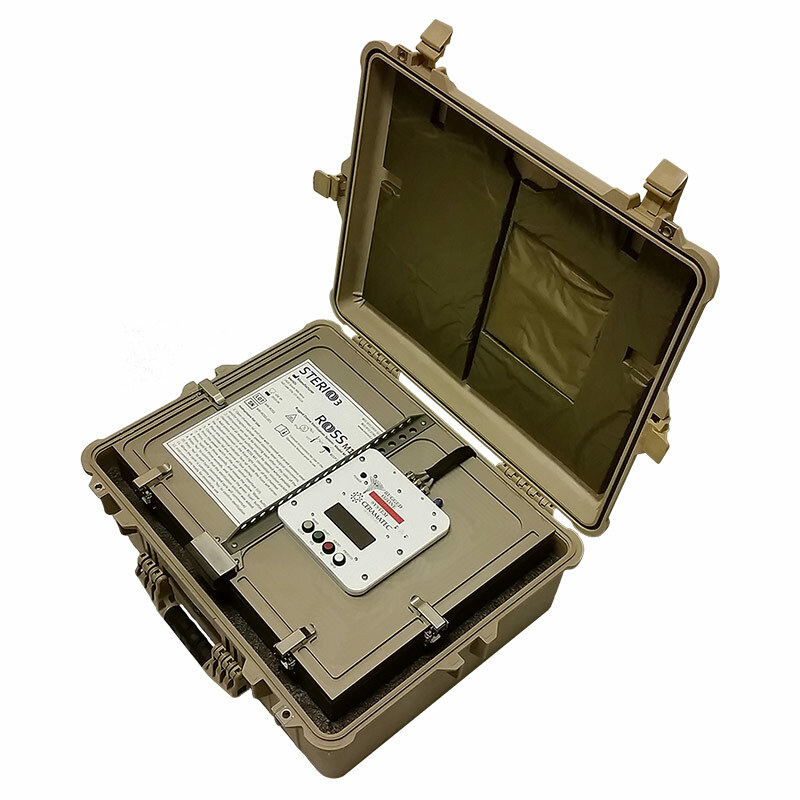 The available equipment have many characteristics making them unsuitable for DOD use in Forward Operating Base locations including potable water requirements, water consumption, power requirements, and reliability. Additionally the devices where in commercial distribution prior to 28 May 1976 so they lack the advantages that could be realized from modern technologies. The Rugged Ozone Sterilization System’s portability, rugged design and quick process times will allow Special Operations Surgical Teams (SOST) and other healthcare personnel to continue to treat the critically injured and improve the survival rate of the wounded in Forward Operating Bases and areas of need worldwide. The Rugged Ozone Sterilization System is designed to meet military requirements for ruggedness, transportability, reliability, logistic supports, safety, affordability, and ease of use. The ROSS M1 would be very useful in situations where unconventional treatment methods are required. 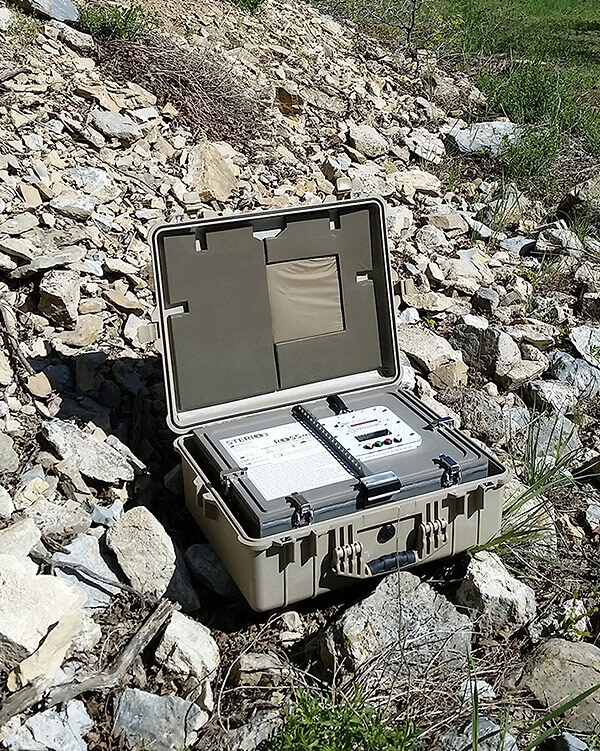 The device is well suited for use in remote locations with minimal resources where supplies must be packed in or deployed through air transport. The ROSS M1 is a practical solution for the sterilization of surgical equipment in areas following natural disasters, such as an earthquake, hurricane, flood or tsunami. The ROSS M1 also has many potential uses in the private sector including low-temperature terminal sterilization of medical devices, dental and veterinary device sterilization, and high-level disinfection. Low temperature that allows immediate use. Sterilization of surgical instruments in remote, low resource settings. Sterilant generated on-site and decomposed into non-toxic compounds. 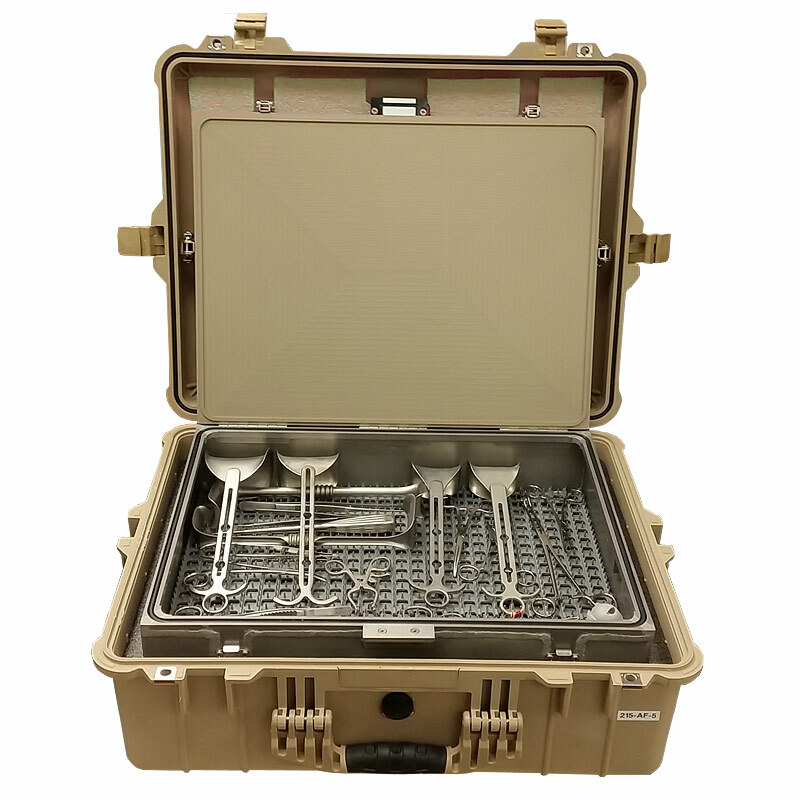 Sterilizer housed in durable lightweight briefcase form factor.